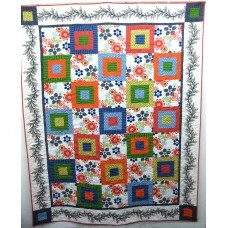 Queen size quilt 84" x 84" or 214 cm x 214 cm in 100% cotton. Designed and stitched by Jill Burton. 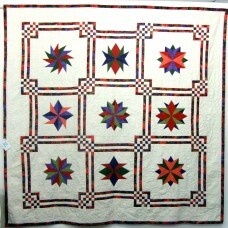 ..
Large single or king single size quilt 78" x 102" or 198 cm x 260 cm. Bright and fresh in 100% cotto.. 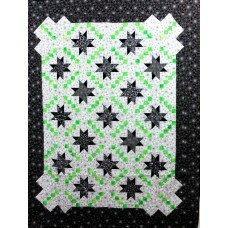 Pieced haxagons in lemon, apricot, brown and green with truquoise blue surround. 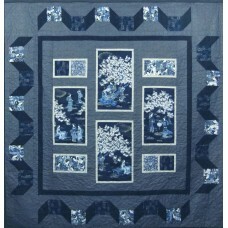 Designed and stitch..
Large queen size oriental themed quilt in 100% cotton fabrics. 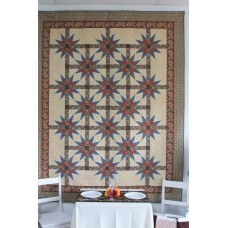 Original design by Jill Burton, made..
Stitched by Jill Burton Quilt size 80" x 80" or 203 cm x 203cm 100% cotton William Morris fabric and..
Large single size 69" x 87" or 125 cm x 221 cm in 100% cotton fabrics and wadding. Designed and stit..
Large single 75" x 92" or 191 cm x 234 cm. in 100% cotton fabric and wadding. 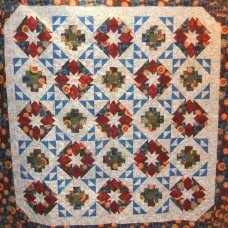 Designed and stitched ..
Machine pieced and quilted by Jill Burton with 100% cotton fabrics and cotton wadding. Original desi..